ITT Technical Institute, a for-profit college with campuses across the United States, has been accused of pushing students into high-risk loans and now faces another blow from the government. The U.S. Department of Education imposed new strict rules, banning ITT from enrolling new students with federal loans on Aug. 25. As a result, the college chain announced it stopped enrolling new students on its website on Aug. 29. The Department of Education announced they had to take a strong measure against ITT to protect students and taxpayers. “Millions of dollars in taxpayer money and tens of thousands of students are in jeopardy,” said Undersecretary Ted Mitchell on a press call on Aug. 25. In order to increase financial protection, the department also asked ITT to pay $153 million in additional guarantees within 30 days. The guarantee will be used to cover student refunds should the schools close down. According to the most recent quarterly filing, ITT has only $78 million in cash left. However, the department’s demand is almost double that amount. It is still not clear how ITT can meet this demand until the end of September. ITT is owned by a publicly traded company, ITT Educational Services Inc. (NYSE: ESI). It offers technology-oriented undergraduate and graduate degree programs in more than 130 campuses in 38 states. The college chain had nearly 45,000 students in 2015. Last year, the institution reported almost $850 million in total revenue, roughly $580 million of which was sourced from federal aid dollars. The department’s announcement is a major blow to ITT, as nearly 70 percent of its revenue comes from federal loans. “Last year, the institution reported almost $850 million in total revenue, roughly $580 million of which was sourced from federal aid dollars,” stated the Department of Education in a press release. The department also asked ITT to develop teach-out agreements with other colleges in order to provide an opportunity for students to complete their studies in the case of a closure. ITT was accused of misleading its students with a deceptive student loan program and empty promises. It first came under fire in 2012 when news emerged of the high default rate on its student loans. Since then, the institution has been subject to criticisms, multiple state and federal investigations, and lawsuits. The parent company, ITT Educational Services’ stock crashed from $75 in 2012 to $0.31 per share on Sept. 1. The U.S. Securities and Exchange Commission (SEC) also announced fraud charges against ITT and its CEO and CFO in 2015. Despite all of ITT’s troubles, two major shareholders Chinese nationals Zhifeng Zhang and Yude Zhang bought more than 600,000 shares in ITT Educational Services in July. After the Department of Education’s August announcement, ITT shares collapsed 86 percent from $2.2 to $0.31 per share, forcing Yude Zhang to sell all its 3.2 million shares in the company on Aug 31, according to SEC filings. The Department of Education’s move followed announcements made earlier by ITT’s accreditor. I think in the Corinthian experience we certainly learned how important it is to communicate directly with students. ITT Educational Services is not a unique case in the for-profit education industry. Other major for-profit education companies, including Career Education Corporation and Education Management Corporation, face investigations and lawsuits as well. In May 2015, Corinthian Colleges, once the second-largest for-profit chain in the United States, went bankrupt and closed all campuses after students declared a debt strike and refused to pay federal student loans. 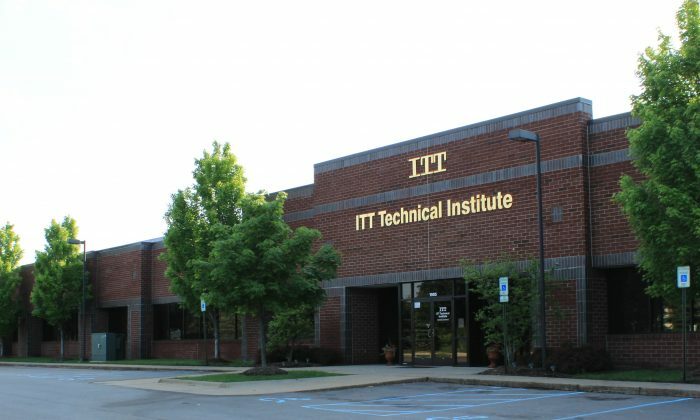 Current and former students have been complaining about ITT Tech for more than a year. They accuse ITT of deceiving students during the enrollment process and misrepresenting the school’s accreditation. Students also complain about the school’s false promises regarding employment prospects. Poor job opportunities for graduates combined with their mounting student debts led to a high rate of default. And now students want their debts to be canceled. And they use social media to raise their voices. In response to mounting questions, the Department of Education announced the procedures for discharging federal loans. The department also launched a blogpost to answer questions of current and former ITT students. “I think in the Corinthian experience we certainly learned how important it is to communicate directly with students,” Mitchell said. However, some students still think there are communication problems and they are left in the dark. On one Facebook group with nearly 2,800 members, ITT Tech Warriors, many shared their concerns. “My whole class is in full-on panic mode. We are set to graduate in less than 16 weeks and our director claims they don’t know if we will get a teach-out or not!! What the heck are we supposed to do? ?” wrote Casey Michener on Facebook. “So I graduated with Highest Honors and a bachelor’s degree back in 2012. Suppose I file this DTR [defense to repayment] and loans get discharged. What happens to my degree? I am not going to start all over from scratch to earn another degree,” wrote Ross Dirkse on Facebook. Some also shared opinions on the layoff.com website. “I finished my program this last Thursday…but not sure what to expect. To begin with, our campus was one of those without a Dean, Program Chair, or Campus Director. Now, nobody answers the phone and today, when I stopped by…the doors were locked! I know prior to this week a graduation ceremony was planned…I suppose that’s a pipe dream now,” wrote a student on layoff.com website. “This situation appears to be mirroring last year’s collapse of the Corinthian colleges. Unfortunately in that situation little was done to keep the students and employees informed,” posted one community college faculty member on layoff.com website. The for-profit education sector in the United States, once a high-flier, has been struggling with lawsuits, financial crises, and government scrutiny since 2010. And ITT Tech could be the next for-profit college to collapse, unless it resolves its mounting issues.